Hey there everyone! My name is Dan Miller and I run the travel blog Points With a Crew. J. Money asked me to spend a little bit of time talking about what a budget for a family of 8 looks like, so I thought I would break it down on a monthly basis for you. We spend about $5,000 / month which includes everything except for taxes and savings. Bills are bills, ya know? I read once (and continue to perpetuate this saying to everyone I know, even though I can find no source to back me up) that no matter how many kids you have, nor how much money you make, you will spend about 25-30% of your income on your kids. My mortgage runs about $2,000 / month including taxes and interest, for a ~2,000 square foot house in a nice suburb of Cincinnati, Ohio. Cincinnati is a pretty cheap real estate market, and I’m sure if I had no kids I could make do with a smaller house. Of course, if I had no kids, I’d probably be paying more for a swank loft in a hip urban area :-). I’d imagine my energy and water bills are higher than they would be if I had fewer kids, but probably not by THAT much. We’re at around ~$350-400 / month combined for those. We don’t have cable (barely watch TV), though we do spend $8 / month on Netflix. We gave up our regular landline phone in 2013, but do have an Ooma device ($4 / month) mostly so that if my wife and I are out of the house that the kids would have a way to contact us in emergencies. I get medical, dental and vision insurance through work which costs me about $200 / month. I choose the high deductible plan and also contribute another $100 or so / month to a health savings account. Because we’re a single income family, I think life insurance is even more important. We have about $1.5 million on me and $750K on my wife, which costs us around $102 / month. We also have disability insurance, and an umbrella policy in addition to the standard home and auto insurance – that adds another $400-500/ month to the bill. As you can imagine, food for a family of 8 can get pretty expensive. This is probably the one area of our family budget that I feel like we have the least control of. Especially as our kids are getting older and into teenager-hood, it’s been hard to put a real cap on our grocery budget. WILL SOMEONE STOP THESE KIDS FROM EATING SO MUCH?!?!!? About 10 years ago, I was one of those “Extreme Couponers” of the sort that you now see on TLC (back before it was cool!) and that was a lot of work but pretty lucrative. In 2004, I ended up with a yearly grocery bill that was negative, once you factored in coupons, rebates and reselling. We don’t really do that as much now (too much time, and the rules have changed to make it a lot harder with no double coupons where I live), but we still try to keep things on the cheap – our monthly food budget is about $600-700. Now, I should probably point out that I WORK FOR A GROCERY STORE, so I get 10% off on store-brand products (talk about a timely employee perk! ), though that doesn’t really add up to THAT much. We do buy things in bulk (for example, we go through at least a 5lb bag of cheese every week), and stock up when things are on sale. My wife is a vegetarian so we don’t buy much meat, which helps keep prices down. This is one area where we have started really doing a lot more, and is the focus of my travel blog. 3 years ago, when I realized that the 2014 version of our family reunion was going to be across the country at Lake Tahoe, I knew that 8 cross-country plane tickets were not going to be cheap. I had had a little bit of exposure to the “travel hacking” game, which generally means signing up for lots of credit cards to get the signup bonuses. It does take a bit of time to keep things straight and make sure you make all the payments (paying interest on credit cards is pretty dumb, right!?! ), but it has been pretty lucrative for us. We used 170,000 Southwest Rapid Rewards points (that we got pretty much for free through signup bonuses) to buy those 8 plane tickets from Cincinnati to Nevada for our 2014 family vacation. We also used miles and points for my wife and I to go to Miami for a getaway weekend back in November 2013, and we have another getaway trip planned for later this month. I’d say we’ve traveled more as a family in the past year or two that we’ve been travel hacking than we did in the past 15 years. We have also used airline miles to barter for babysitting – we paid someone 25,000 miles to watch our kids for a weekend, and we are bartering miles again for babysitting for this upcoming trip. If you’re interested in how to get started on travel hacking, you can check out my Beginner’s Guide to Travel Hacking, or follow me on Twitter – I’m happy to help folks in any way I can. For families with kids (especially younger kids), childcare is one of the most expensive parts of the budget, especially if both parents work outside the home. One nice thing working for us, is that the more kids you have, the cheaper childcare becomes. That’s because once you get into 3+ kids, daycare becomes prohibitively expensive and the economics of having one parent stay at home becomes a lot more attractive. The choice of whether both parents work or not is one that needs to be made at the individual family level, and the discussion is fraught with landmines, but it’s one that has really worked out for us. 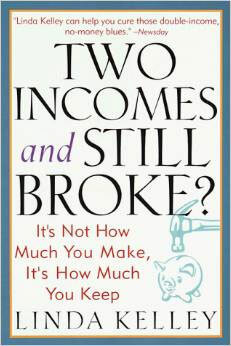 I read a book a few years ago called Two Incomes and Still Broke? : It’s Not How Much You Make, but How Much You Keep. The book was (officially) neutral on the idea of whether or not both parents worked, but it was an interesting read on some of the hidden costs of having both parents work outside the home that people don’t often consider (like new work clothes, lunches, increased grocery bills, etc). We’re Mormon (explains the 6 kids, right? :-D), so we give 10% of our income as tithing to our church, as well as other giving. I decided to lump that into the “taxes” section, since it’s another reason that we don’t pay much in the way of federal income taxes. Up until this past year, when I took a new job that paid me a lot more than I used to be getting, we were one of “those” people that just “mooched” off the government. Now in our particular case, I think that between the other kinds of taxes (state, local, sales, property, etc.) I’m sure we ended up paying some taxes, but as far as federal income taxes, between having 6 kids (in addition to 8 exemptions, we get $6,000 in Child Tax Credit), paying 10%+ to charity, and a mortgage in the early stages of life (so lots of tax-deductible interest), our tax bill would generally be negative and thanks to what is called the “Additional Child Tax Credit”, we would get all the money that we put in back, plus some. With my recent increased income, we do actually (gasp!) pay federal income taxes now, but I’m sure it’s a much lower percentage than many others. I have to say that’s up there in the list of things that people say to me, along with “You must have your hands full!” :-). Frankly, I’m not that worried about college and we have prioritized savings for our retirement over savings for our kids‘ college. While I do think that for many professions, a college degree is a good thing if not mandatory, I do think that there is something “broken” about the current college system where kids just go off to college at 18 without any clue as to what they want to do just because it’s “the thing to do”, which just leads to a sense of entitlement and/or a lack of purpose. When someone else is paying your bills, you generally are less invested in making progress towards a degree (I think we’ve all heard those stories, right?) Also, having 6 kids does mean that our “Expected Family Contribution” (a component of the FAFSA that determines how many grants/loans your children get) will be lower than for someone with fewer children. Another thing about being Mormon is that in addition to saving for college, many of our kids will choose to take 2 years to serve as missionaries, which will be about $400-500 / month for 2 years. On the flip side, admission to BYU (a fairly well-respected university owned by the Mormon church) is only $4,850 / year for Mormons. To share my example (I graduated from the University of Cincinnati with a degree in Computer Engineering in 2000) – due to doing well in high school, I earned a full-tuition scholarship, as well as enough Advanced Placement credits to test out of about a year’s worth of classes. UC’s College of Engineering has a very successful co-op program (they actually invented it back in 1906! ), so you would go to school for a quarter, and then work for a quarter (I worked at Procter and Gamble for 3 quarters). In addition to tons of meaningful work experience, I made enough money to be able to pay for my living expenses for that quarter and the upcoming school quarter. 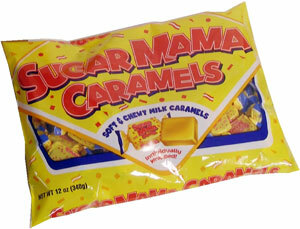 Of course, another helpful thing about halfway through school I got myself a “Sugar Mama” (aka I got married :-D ), and my wife worked as a nanny to help pay the bills while I was finishing up school. Anyways, I am not necessarily expecting all of my kids to follow that exact path, but I share it as an example that you don’t just HAVE TO sock away $30K per kid-year as your kid‘s God-given “college fund”. For each of my kids that wants to go to college and has a plan for how that’s going to help them in their life, we will make sure that it happens, but it’s also going to take work on their part. Like I said when talking about college, we have decided to prioritize our own retirement savings over college funds. My wife and I both have IRAs, and we contribute up to the match on our 401k. With my recent change in job, I have just now become eligible for my employer’s 401k match after being employed for a year – they match 100% of the first 3% contributed and 50% of the next 2%, so we contribute 5% to get that free money. For most of my adult life, my effective tax rate (see Taxes section above) has been 0%, so it didn’t make sense to contribute more to 401ks – instead, we put money into a Roth IRA. Pay the taxes now, at the 0% rate, and then withdraw it when I’m old and banking beaucoup bucks! We currently are paying down a business line of credit that we used to buy one of the houses, to the tune of about $2,000 / month. Once that is paid down, we will probably look into buying another rental in the next year or two, as well as re-purposing some of that $2,000 / month into other avenues. For purposes of diversification, we have also started converting some of our term life insurance into whole life insurance. We do these on the cheap as well. We do have my oldest daughter take piano lessons ($90 / month) and my 2 older boys do Boy Scouts, but that’s about cost-neutral (via fundraising). We budget $40 / month for “Entertainment”, and we don’t even use that most months. There are lots of things that you can do for family fun that is free or low cost. We loaded up on gift cards during American Express Small Business Saturday when they were offering business credits for buying things at local businesses, and have been using those to go for ice cream or a trip to the local movie theater. We also will just go to the mall and walk around, or hang out at the bookstore or library, or just spend time at the house. Finishing things up, I hope that this gives you guys an idea of what the budget for a family of 8 looks like. 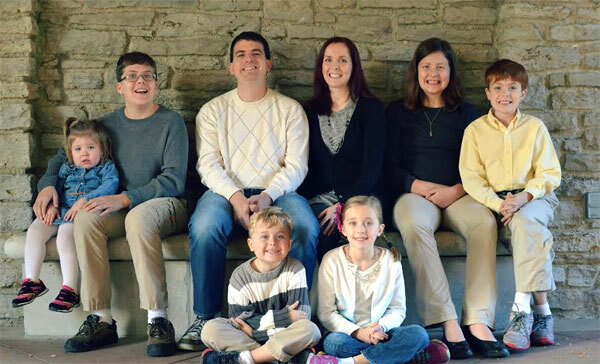 We made the choice to have 6 kids, and when we did, we knew that it would mean that some of our other choices in life might be limited. But I don’t feel deprived in any way, and I don’t feel like any of our children feels that way either. We have a lot of fun, but we do it in a cheap-o kind of way. And one advantage of that is because they haven’t been “spoiled” to expect some of the things that their peers might have, they don’t feel deprived without them. Happy to answer any questions in the comments! Hey, Dan, thanks a lot for sharing your story here and you really inspire me! I only have one daughter and I always tell her that we should not waste our money because we don’t have too much. Thankfully, she understands it even at the young age and she even started saving. That’s a great point, Dan! A budget frees us to spend money on the important things, instead of making impulse decisions and not realizing how much we blow on ridiculous things. Interesting budget Dan. Love that you can use points for such a large family. It’s refreshing to read that you don’t focus so heavily on the college fund. My husband is a tradesman in a niche trade but he earns so much more than me (the degree holder) plus he was paid while he trained so he has no student debt. There are alternatives out there. We are personally saving to buy our son his first rental property when he turns 18 rather than saving for him to go to university. If he decided he wants a degree, he can get a student loan – as they are interest free for life in New Zealand (where we live). Definitely! College can be a useful tool and like I said in the article, any of my kids that want to go to college as part of a plan for their future, we will help to make it happen. But I think that one of the best gifts you can give is NOT a college fun but making sure that your OWN retirement is secure. What a great idea, Emma!!! That’s so life changing for a person cuz you’ll learn (and earn!) so much!! I hope so J. I figure he’ll be around it as he grows up as we heavily invest in property so by the time he can get a mortgage (secured by us, no doubt) he should know a lot about how it works. Other than the deposit we won’t put anything else in so he will have to manage cashflow and expenses. We’ll be there for support of course but I figure being thrown in at the deep end is the bets way to learn. So right Dan, I’d hate to think that my kids would have to pay for me to live in a retirement home because we didn’t have our own funds sorted. I had no idea BYU was so affordable. It’s such a beautiful campus there. Hey – that’s cool! Family size is definitely something that’s up to what works for your individual family. I believe tuition for non-Mormons is more expensive (because the tithing that members of the church pay subsidizes the cost), but IIRC it is still significantly below the average tuition for college. Wow–that’s a fantastic budget! I am super impressed! I’m a huge advocate of the idea that anything can be done frugally and I think it’s wonderful to see how you’re managing a large family frugally. Truly inspiring! Also, that BYU tuition is incredible! Yeah – I think that being cheap / frugal is a mindset and isn’t as relevant to how much money you actually make or your family size. I agree with the college point. I think we push kids too much towards “you have to go to college to get a good job”. While in many cases this is true, a bunch of my friends went to trade school and became mechanics or plumbers and are making serious money. My wife and I talked about paying for our kids college and we agreed we would help out, but they were taking out student loans. We both had some help but also had loans. As much as they sucked, it made us more aware of how the world works and make us more responsible in the end. Exactly, Jon! Too many people think college is a “must”. For some, it’s great, but for others, it doesn’t even make sense…and like you said, some people do better and earn more through going to a trade school. And will then try and force them into college afterwards unless their companies are exploding by that time – hah. The nice thing about degrees is that you can use them forever and no one can ever take away from you. I think about this a lot, and have come to the realization that in most carers, success has to do with education (formal or informal – learning to think and analyze, how to learn, and how to find best practices in a field), competence at desired skills, and ability to get along well with others on some level. ‘White collar’, ‘blue collar’, whatever, you need those 3 things. Also passion! The more your heart’s in it the higher you’ll always go. That’s a very detailed budget. The problem is more and more folks are setting up budget but they don’t stick with it. Many lose tracking after a month or perhaps two months. 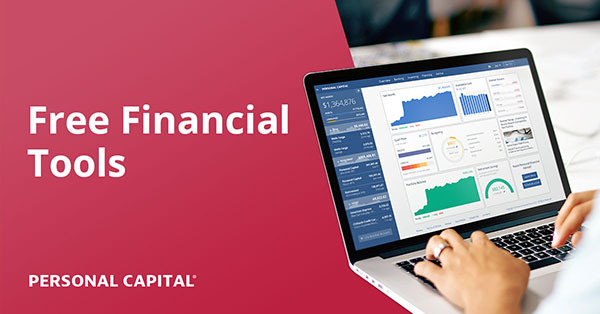 Following your budget is an important – extremely important – aspect of budgeting. Setting up is easy but following it for years to come is pretty hard. Your budget looks great, Dan! Your monthly food cost really isn’t that much compared to most Americans. John over at Frugal Rules shared an infographic on that once. We have four kids, and we spend about $400-$500 a month on food, so I think you’re doing pretty good. Thanks for sharing! I agree that kids don’t automatically need to go to college while mom & dad foot the entire bill. My parents helped me out with mine by taking out parent loans which I regret very much as an adult since my own are now paid off but theirs are not. My husband’s family paid for his whole schooling at an in-state school but only after he had already earned his AA in high school and could finish university quickly. We want to prioritize our own savings and retirement over education funds for our kids like you. We do have small accounts, our boys are two and under one and we will keep adding more over time. But I plan to save what we can, tell them how much we have for each (whether it helps or covers the whole cost in time) and let them choose their own way even if it means they choose a low cost school or choose to apply for scholarships or work to cover additional expenses. I like the budget but you are scaring me playing with these credit cards and mortgaged rental properties. I also am not so worried about kids’ college as I know it can be cash flowed with careful planning. Thanks for sharing. Great post! There are so many people out there who say big families aren’t possible financially but you have really made it work! That food budget is amazing as well considering that ours can come close to $500 a month for the two of us! Excellent post Dan! We have three little ones in our family and often get strange looks as to how we’re able to keep costs down – so much of it is in the choices you make. We have a grocery budget of $475/month but we have extra leftover every month so I think we’re doing pretty good with that and still manage to eat well. I love how you’re using points for a large family. We’ve run into a few roadblocks ourselves with that, but have managed to make it work for everything we want. My two “go-to” stereotypes for Mormons… “has a lot of kids” and really down to earth. You seem to fit the bill. I’m not a Mormon, but I’ve never met one who I couldn’t get along with. When we have our second child, we’ll have to take a harder look at our daycare costs. The hard part is that I make too much money right now! Interestingly enough all my best friends through high school were Mormon :) All very nice (and super smart). Agree! Term life is the way to go and you are well covered. Whole life is a ridiculous waste of your hard earned money!! I’m not Mormon, but live in an area with a pretty heavy LDS presence, and I work with another optometrist who is Mormon. I am very impressed with the number of professionals and business owners who are Mormon. I actually asked my partner doc if they teach being business savvy as part of the faith. His reply was that they encourage and expect you to be self sufficient, and it certainly seems to be working, at least in our area. I think lots of people with or without multiple kids could use a lesson in financial responsibility! Thanks for sharing your budget. @Shafi – yeah sticking to the budget can be difficult. I would definitely agree that it’s been harder for me to stick to things the more it goes on. Just like anything, regular review is good! Great article. Glad to see this featured on budgetsaresexy. I will be clicking over and reading your blog as well. My husband and I both came from large families and understand well the virtues of kids growing up un-entitled, and knowing the value of work. My mom and dad have seven kids (I’m oldest), mom stayed at home, and they achieved financial independence/early retirement at 50 because they always saved at a rate near 50% of take home income. We didn’t have designer clothes, we had well maintained used cars, and we didn’t live in the trendy part of town. We did however have a very safe privileged upbringing where we our needs were always met, academics and music lessons were top priority, and we played outdoors daily. Good stuff. First step for you before moving here – figure out a good way to remember how to spell Cincinnati :-D.
Wow your parents are financial pimps!! That’s awesome, Sarah! Haha how embarrassing. Well now that I’ve botched the spelling here, I think I’ll be motivated to get it right from now on! Thanks for being willing to help! As soon as I saw the title, I thought, “Gotta be a fellow Mormon” haha! Glad to see you guys are doing so well with a large clan. I grew up with four siblings and my parents really struggled to keep the finances under control sometimes. I ended up paying my own way for college, so it’s a good thing I had BYU! We have a family of 6 and spend less than $400/month on groceries, but considering that our children are getting older, we may soon be going over the $400 mark. Plus you have 2 more kids lol, so it seems like your food budget is about like ours. And I agree about college, it’s not mandatory, nor is it our responsibility as parents to pay for it. My wife and I do some saving for it, but they will still have to work for the rest or get scholarships. I think if we pay for it all, the kids are less likely to be fully invested mentally, since they aren’t invested financially. It’s just like how we tend to treat things that we pay for differently than things we get for free. You guys are doing great; keep it up! I didn’t know you had 4 kids??? Wow! Thanks for sharing you budget with us. It always interests me to see how different people in different geographic areas and with different sizes of families budget. Dan, thanks for sharing your story. As a former college VP I wholeheartedly agree that the system is broken. I have counseled many people on how to get through college without taking loans, and without taking four years or more to do it. I was also glad to hear that you and your wife make a point to travel and have couple time! @Kim – it’s somewhat shocking when I tell people that I have saved very little for my kids college, but when I take the time to explain my views (like I did in this post), I think it makes sense! It’s very interesting to see what the budget is like for a family of 8. I sure can learn a few things from you when it comes to budgeting. Thanks for sharing. I loved your budget, thanks for sharing. It’s so neat to get an insight into a larger family’s finances (we’re just three). It was an interesting point that we all end up spendin the same % of income on our kids. We definitely don’t spend 25% of our income on our daughter, but she’s still small and pretty cheap so far! It’s awesome that a family of 8 can live on $5,000 a month so well! After all this, it’s a wonder you can still afford to travel. Thanks for sharing your story and budget. With proper planning any salary can be stretched to the max, as you just proved. Granted you get help and you pay very little taxes, but it’s still a good accomplishment. (Plus you’re saving and not making excuses) I also read somewhere that one college kids pay for school themselves they take do school work with greater diligence. I have a family of three, so this was a particularly interesting read. Thank you for being so open and sharing! I really tip my hat to you and your wife. We have one child and he is all that we can handle in our lives. I can’t imagine what the noise level is like in your home around dinnertime. Speaking of, I am really impressed with your food budget. I have clients with only 4-5 people in their home who spend more money than you do on food. As far as your choice to not focus on college savings, I see your side of the argument and there are plenty of others like you. I personally think that the cost of higher education is out of control and for most schools/programs, you do not get a good return on your investment and I secretly pray my son will want to go to trade school and become an electrician. That being said, my hubby and I both had college paid for by our parents and the fact that we graduated student loan debt free gave us the opportunity to not only build our own wealth right after college but to have the flexibility to pursue careers that we wanted to not out of financial necessity but out of passion. My husband has been a teacher for 15+ years and he could not have accepted his first year starting salary if he had student loan debt, as it was he barely made enough money to pay his rent. We want our son to have this same flexibility and leg up on his financial life that we had. If it means a delayed retirement for us, we are comfortable with that. @Johnny – I love it. I actually was kind of biased against BYU at first, because I saw (and still see) it as somewhat frustrating that many teens go “off to Utah” for school, leaving not as many folks for the “rest of us” out here (I went to school here in Ohio). I definitely grew up in a house where we didn’t do “expensive” things or have stuff like cable or video games, and since we never had them, we don’t even really care about them now. It was definitely a treat to visit a friend’s house who had them growing up, but now as an adult, I’m glad it doesn’t even occur to me that I need those things. Hi Dan, great post! I was wondering who you get life insurance through? We have been shopping around and that seems like an exceptionally good premium. Also, since this is my first comment I will add a hi to jmoney, I really appreciate your blog. And someone above mentioned that BYU was possibly much more expensive if you are not Mormon. It’s double the Mormon tuition, so still affordable comparatively… I had a few non Mormon friends who went there and all cited low cost + safe environment as their reason for coming. @Felix Money – you can do it! One rule of thumb I like to use is instead of starting at where you’re at and then figuring out what to “cut” – start at 0 and only spend money on what you really feel you need. It’s a lot easier than going the other way! wow, That Dan Miller is amazing! He must have been brought up well. Seriously, I have always been proud of him and his choices. I admire his frugality to make his choice of a large family work financially. Great post! I’m a mom of 4. If I had a nickel for every time I’ve heard the ‘your hands are full’ line I’d be a billionaire! ;) We also have a similar attitude about college. I believe it has merits for the right people, but I don’t think it is for everyone. As one of my kids approaches college age it’s amazing how much that message is drilled into them from school, friends, other family members. We will 100% support him no matter what he wants to do but at this point I think he’s looking at starting his own business instead of going to college. Started reading this article and then realized that this is a guy with a horrible rap in the blogging world for stealing and “reurposing” content. It’s a good budgeting post for your blog, but if you are looking to get into travel hacking I strongly suggest finding another blogger to give your traffic and referrals to. I’m sorry if you’ve heard that about me – I am not aware of any such issues or allegations. I don’t feel that I steal or re-purpose other people’s content without giving proper attribution. If you have any specific questions or concerns, feel free to reach out to me at dan at pointswithacrew dot com. As someone who is very active in the travel hacking world, I’ve never heard that charge levied against Dan. I’ve always known him to be one of the most stand-up nice guys in the frequent flyer community. Perhaps you are confusing him with someone else. Thanks for the great post and I will be checking out your blog for ways to travel! Wow! Good job to both of you. You’re house must be such a riot all the time! GREAT article, Dan; thx for sharing! I, too, live in Cincinnati. My fave part of your piece was when you talked about how some kids today end up going to college after HS just for the sake of going… “that’s what people are expected to do” … then perform in a really average way while taking on about $10k/yr in student loans… or maybe I just added that second part myself :) . My roommate’s son is at UC now, and has not been real good at getting a job which would help with the student loan debt… like you said, “it’s going to take work on their [the kids’] part” … I feel like the kid HAS to have skin in the game or else they learn nothing about the value of money… or hard work… pulling my hair out over here!, lol… but at least you seem to have it figured out in the areas of your kids’ college plus saving for your own retirement. Great job! Yeah – I’m not saying that college isn’t important. Certainly in many cases it will be the best decision you make. But…. there certainly are disadvantages to just going after HS just because it’s the thing to do. Look at people who go “back to college” after they’ve been working awhile. It certainly presents some scheduling and other difficulties, but the focus and commitment that they have is definitely MUCH higher! Great article Brother Miller. What ward are you in? We’re in Little Miami, Cincinnati East Stake. We only have our two boys so far but have many more ahead of us. I loved reading this breakdown of a 8 person family budget! It really shows that there is no one way to do things. The part about college is really great. I went through college in the amount of time I was supposed to and was lucky to have a full scholarship. Other people round me were career students though and would just bounce round yr to yr changing majors. Really enjoyed the post, thanks for sharing. I’m not married and don’t have kids yet, but that “Two Incomes” book seems really interesting. Thanks for the recommendation. Great Post!!! College tuition can be very expensive and a lot of times has a terrible ROI depending on your school, cost and how marketable your degree is. Just this week I saw BYU MBA was ranked at the top by Business Insider for ROI even beating out schools like Harvard and Stanford. Awesome post – I feel the same way about college. We have two kids but they’re twins and so would technically be starting college at the same time but I’m pretty relaxed about it. I also agree the system is broken. I’d rather them take a year to work, travel, engage in a unique experience, and figure out what they want to do that way before going to school. Really it’s up to them. They could not go and start a business or do college online and I’d be fine with that too. How does one eat for an average of $0.95 per meal? I’ve managed my family’s budget for many years and have NEVER ONCE come close to averaging $1/ meal. I’m seriously lost at how it can be done!!? Are you growing your own food? Cereal, with milk and a banana and a glass of juice is almost $0.95 / serving. I am honestly baffled by how you can spend that little on food. Thanks for the post. I’m a fellow Mormon mom with 9 kids (14 down to 7 months) at home and we’re planning a couple big family trips from Idaho to the church history sites like Nauvoo this summer. My cheap travel plans involve a 15 passenger van and a big canvas tent. Our income is about $3900 a month after insurance and taxes and we homeschool as well. My food budget runs a little higher, around $700/month, but our housing costs are less, only about $1300/month. Big families are a ton of fun and a ton of work, but it is possible! I’ll be looking at your blog for some travel hints for our upcoming trip! Loved this article and would love to see more posts on Large Families. :) We have 5 kids!! Crazy, right?? 2 came through international adoption so we jumped from a family of 5 to a family of 7 overnight and we’re still figuring out this budgeting thing. Sounds like you have a great attitude towards your kids. I wholeheartedly believe that too many kids in the uk go off to university because they think it’s expected with no idea of what to do. I was one of them but I paid my way through college and it has paid dividends for me. Too many youngsters (at the risk of sounding like an old duffer) expect everything but don’t want to work for it! We also have 6 kids, and have never really used a budget because we have never made enough to have a budget until now. (basically, we just never spent any money unless absolutely necessary.) Now that my husband makes more, we need to figure out proper percentages for savings, entertainment, etc, so this was helpful! I also totally agree with you about college! Anyway, we just got the Capitol One Venture credit card to save for travel, but I’m trying to figure out if this is the best idea, since they charge $95/year after the first year. Before now, we’ve always used our Discover card to earn cashback bonus and have always cashed them in for gift cards, earning at least $400 in gift cards per year. Every 3 months, they have a rotation of businesses where you earn 5% towards cashback, instead of just 2%. Since Capitol One only offers 2%, do you think it would make more sense to just keep using discover, and cash in the money we’ve saved and set it aside for travel rather than for gift cards? Or is there an advantage to actually getting the mileage points? We also have six kids, from 13 to 1. What percent of your budget goes to things like gas? Do you budget for car maintenance like oil changes and tires? We recently had all the vehicles need something from check engine to flat tire to busted water pump, so whenever I think we are doing great budget wise, our savings take a hit. (I am grateful for savings). Our grocery bill seems very high, as ours go through 5 to 6 gallons of milk a week and locally, those are over 4.25/gallon. Wowwww – go Super Mom!